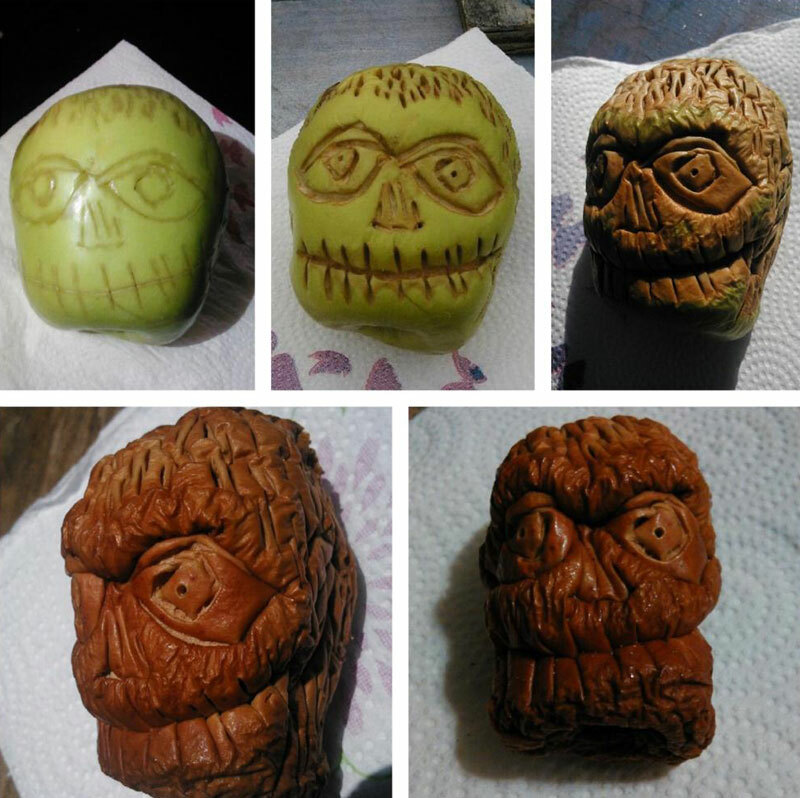 Reddit user AirmanElmo used a razor to make a few shallow cuts into this green apple. He says he then left it outside in the ‘Last Vegas heat’ for about a week and this is what happened. The top three suggestions of what this looks like according to reddit users were: the shrunken head in Bettlejuice, Groot from Guardians of the Galaxy and some kind of ancient Aztec artifact. What do you think?